The end of summer heralds a new and exciting phase for the Green Seattle Partnership. As fall descends, many forested parklands are set to either begin their restoration, or start building on work first undertaken in 2016. One of these sites is Flicker Haven Natural Area, which borders the Jackson Park and Pinehurst neighborhoods. 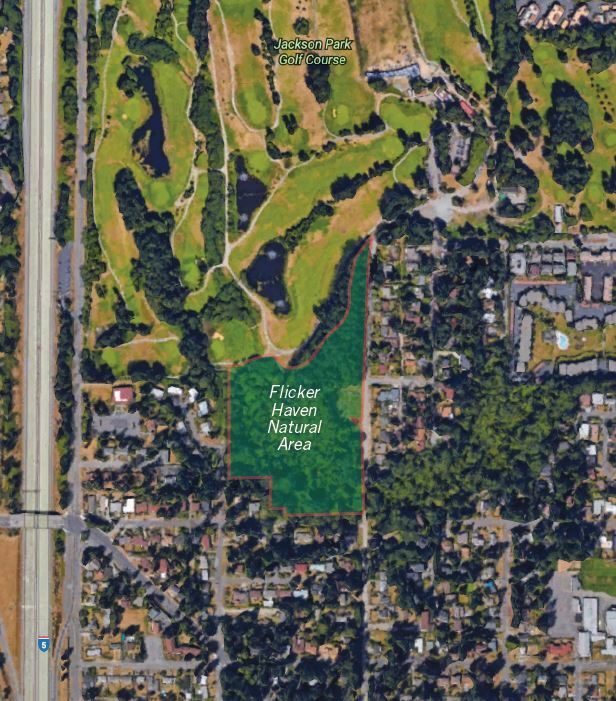 Located on the North Fork of Thornton Creek, Flicker Haven is south of the Jackson Park Golf Course and features excellent habitat with wetlands, forested areas, and pools. Flicker Haven is named for the presence of northern flicker birds that provide an eye-catching flash of color. Often feeding at ground level, you can hear their distinct sounds across the neighborhood. Professional restoration crews will be on site from August through October undertaking invasive weeds such as Himalayan blackberry and English ivy. From November 2017 until March 2018 you can also expect to see some replanting with native species including conifers and other evergreens…so be careful where you step! Crews will provide ongoing maintenance and monitoring to track the progress of our restoration effort. Do you live near Flicker Haven and are you interested in volunteering to help keep this natural area a true haven? We’d love to hear from you at info@greenseattle.org. 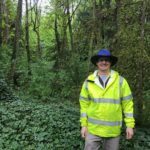 Or for more information about the project, contact Eric Sterner, Plant Ecologist, at 206 386 1982 or eric.sterner2@seattle.gov. Ants can comprise up to 45% of a northern flicker’s diet. The rest is made up of flies, moths, beetles, snails and plant material. Northern flickers belong to the woodpecker family, but are the only ones that frequently feed on the ground. They are the most common woodpecker found in Washington. The northern flicker is the official bird symbol of the state of Alabama. 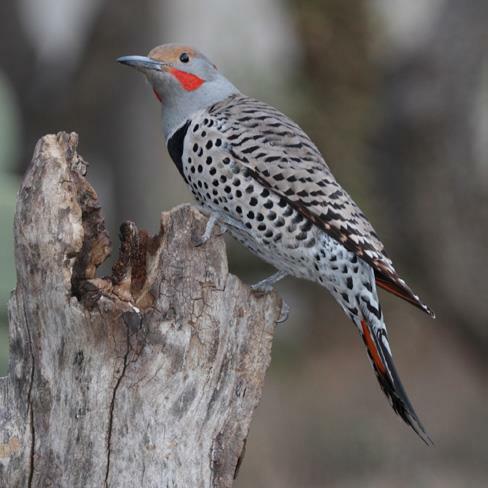 Flickers found in the eastern United States usually have a yellow flash of color in their wings. Here in the west, they’re red! Northern flickers are the home builders of the animal kingdom. They excavate nesting holes which are often subsequently used by other birds, animals and reptiles – whether they’ve finished with them of not! For more announcements and information on Flicker Haven and other GSP site, follow us on Facebook and Twitter. Eric started working with the Green Seattle Partnership in 2014. He was previously a Gardener at Seattle Center and also has worked with Seattle Parks and Recreation’s Natural Resource Unit doing restoration work. Eric currently leads the Natural Area Crew and supports staff and volunteers citywide. Eric is very passionate about the outdoors and enjoys getting out with his wife, hiking and backpacking.